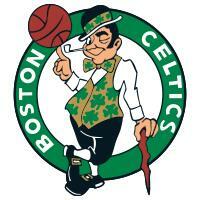 SOLD OUT Celtics Makeover! Can a new coach and new talent revitalize the Green? Paul Pierce? Kevin Garnett? Doc Rivers? Who are they? We've got Brad Stevens, the youngest coach in the NBA, and rookie Kelly Olynyk. Let's see what new ideas, youth, and enthusiasm can do to renovate a well-regarded and established brand. We have a limited number of Loge seats which we are offering to members and guests at a nice discount. We'll meet 6:00-7:00PM at Boston Beer Works where the first round is on us, and then head down the street to cheer on the team at 7:30! For more information, contact Ray Chang at rjchang@sloan.mit.edu or 781-879-4117.